June 27, 2015 Categories Food reviewsfood, nuts, reviewsLeave a Comment on Nuts about…nuts! Nuts are a great addition to vegetarian or vegan diet, easy to snack on they provide protein, fibre and essential fats and minerals. My favourites are cashews and pistachios so I often pop into Holland & Barrett to grab a few bags, while I like natural, unsalted nuts sometimes it’s nice to mix things up. This time I bought salt and pepper cashews which in all honesty had a bigger pepper kick than I was expecting, they were nice but I couldn’t eat as many as I wanted to in one sitting. I also got a pack of chilli and lime pistachios, these are like little miracles, I love Mexican seasonings and the flavour compliments the nuts perfectly. I also think there’s just something about cracking open the shells and popping out the little green nuts appeals to some deep seating foraging instinct inside me. It’s weirdly soothing. 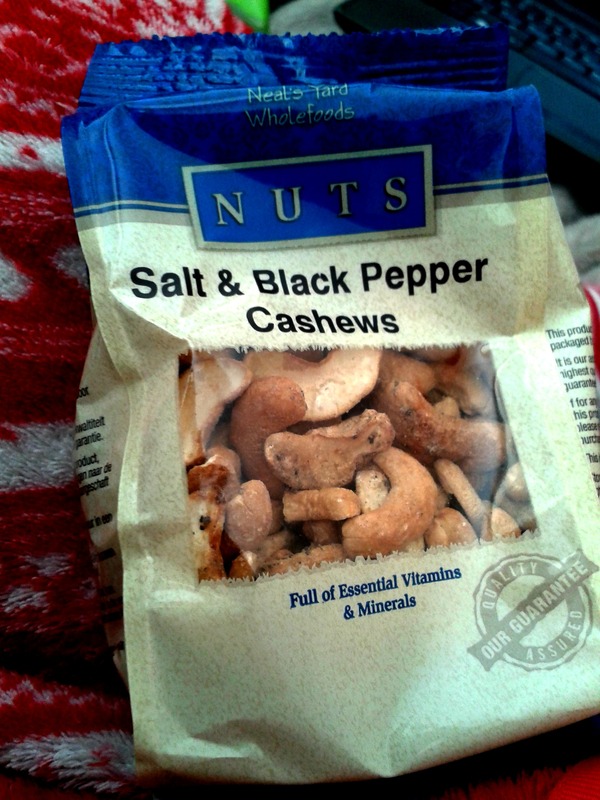 The Neals Yard Wholefoods salt and black pepper cashews are £2.29 for 100g, or £4.99 for 250g. The Neals Yard Wholefoods chilli and lime pistachios are £3.99 for 150g.